If you have never traveled to Australia before, then you don’t know what you’re missing. It’s an exciting place to visit on the other side of the world. Australia is a country blessed with outstanding natural beauty and fascinating wildlife like kangaroos, koalas and wombats. Don’t be too shocked to see a kangaroo bouncing down the road, many Australians won’t even bat an eye. Australia is also renowned for exciting cities, a vibrant nightlife and colourful beach parties. 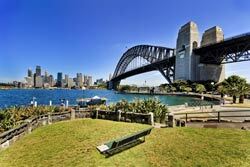 Make the cosmopolitan city of Sydney your first port of call when travelling to Australia. Spend some time exploring the many attractions such as Sydney Harbour Bridge, Sydney Opera House, Port Jackson and The Rocks. If you’re on holiday with your family, take the kids to Taronga Zoo and the Sea Life Centre Aquarium, both great fun. Spend a day in the Royal Botanic Gardens before heading off to one of the city’s many gourmet restaurants, cafes or bars. There are always lots of exciting things to do and see in Sydney. For something a little different how about going on a Sydney helicopter flight? Fly over the beautiful Sydney Harbour to get a bird’s eye view of Manley Beach, Cockatoo Island and the iconic Sydney Tower. Sydney Tower is the city’s tallest freestanding structure at an amazing 1,014 feet. Have you got what it takes to reach the highest point, Sydney Tower Eye? Enjoy the spectacular views from the top of the golden beaches to the Blue Mountains in the distance. One of Australia’s world famous attractions is Bondi Beach. Bondi Beach has it all, bronzed bodies, blond sand, backpackers and surfers. The great thing is this fantastic beach is only a 15 minute car ride from Sydney’s city centre. There is so much to do here from swimming to surfing, sunbathing to shopping. It’s also the perfect place for a seaside stroll or a family picnic. Across from the beach is an exciting range of shops, cafes and restaurants where you can have a bite to eat, a drink or two while beach watching. The Bondi Beach Bathers Pavillion has a marine discovery centre and wonderful historical pictures of how Bondi beach used to be. Why not go on the Bondi to Bronte coastal walk? It starts from the southern end of the beach and follows the coastline around four miles along the sandstone cliffs. Remember to take your camera, there are plenty of great photographic opportunities en route. After spending the day sunbathing, playing beach volleyball or surfing the waves, the fun doesn’t stop there. Get ready to hit the lively nightlife. There’s a good selection of clubs along Bondi Beach like the Icebergs, North Bondi RSL and the East Leagues Club. You will have no problem finding suitable accommodation close to Bondi Beach which has a good selection of hotels as well as budget accommodation to choose from. Arrange your Bondi Beach travel itinerary to coincide with special events like the world surfing competition. On your travels around Australia don’t miss out on the opportunity to visit one of the natural wonders in this huge continent. Arrange a guided tour to the amazing Ayers Rock – Uluru in the Kata Tjuta National Park, Northern Territory of Australia. Knowledgeable Aboriginal guides or rangers can help you explore and understand these spectacular sacred structures. Ayers Rock is one of the most photographed attractions in the world, so don’t forget your camera. Standing at an incredible 1,142 feet high, Ayers Rock has a number of different landmarks where ancestral beings have interacted with the landscape. The striking red monolith forms the beautiful centrepiece of the Uluru Kata National Park which is now a world heritage area managed by Parks Australia and the traditional land owners, the Anangu people. During your walking tour, expert Aboriginal guides will tell you all about the local flora and fauna, bush foods, as well as fascinating dreamtime stories about the area. Check out the red dome-shaped rocks called Kata Tjuta that transform in the shifting light as the sun rises and dips in the sky. The park is open all year round and a fantastic place to visit for all the family. Enjoy aboriginal arts and crafts demonstrations to give you a better idea of the intriguing culture. The Valley of the Winds Walk within the park offers an excellent hiking and climbing route with breathtaking landscape views from two lookouts points along the track. Be careful, it’s a little steep and rocky. As part of your next Australian travel destination adventure, head for the vibrant city of Brisbane. 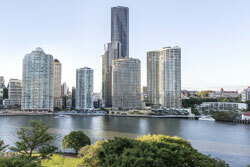 Brisbane is renowned for its parks, outdoor spaces and laid back atmosphere. There’s plenty to discover in the city from fantastic live music venues, boutique shops, art galleries, gourmet restaurants and major sporting events. Brisbane has a sunny, subtropical climate so whatever time of year you travel, enjoy the warm weather and the city’s natural beauty. Take a stroll or cycle around South Bank next to the Brisbane River. South Bank is also famous for its diverse mix of entertainment, leisure activities, cafes, bars and restaurants. For climbing enthusiasts, Story Bridge is quite a challenge. See if you’ve got what it takes to climb to the top then abseil back down again. For the ultimate in relaxation, spend a day on Brisbane’s man made beach in the heart of the city centre. It has a sparkling lagoon surrounded by white sand and subtropical plants, the perfect place to chill out while topping up your tan. For a great day out take the kids to Aquativity, a fun packed water play park near the beach. After so much activity, enjoy a meal in one of the many top class restaurants such as Esquire. This reputable restaurant overlooks Story Bridge and the river boats coming and going. For something a little different from the norm, how about going on a chocolate or craft beer walking tour? There’s plenty of taste testing along the way, sounds good.